The Ultra Mirage NV nasal mask provides comfort and peace of mind during your treatment. Please note that this mask is not suitable if you are receiving positive airway pressure therapy. 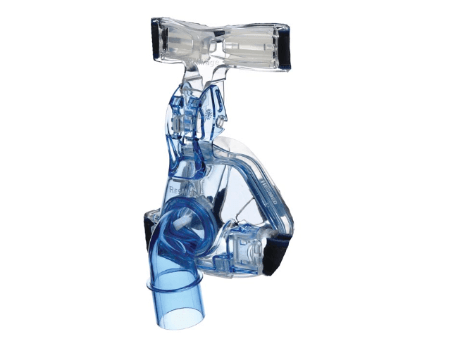 The Ultra Mirage NV nasal mask is specifically designed for ventilators with an active exhalation valve. We designed the Ultra Mirage NV nasal mask with your comfort in mind. The dual-wall cushion combines a secure seal with gentle comfort and we’ve also worked to minimise the amount of moisture that gets trapped between the skin and the headgear.